I had no idea that Henry Winkler also known as "The Fonz" from the television show Happy Days wrote books for kids! Color me shocked when I saw his book on the Bluestem reading list for elementary school readers. Description: For Hank, fourth grade does not start out on the right foot. First of all, he gets called to the principal's office on the very first day of school. Then the first assignment his teacher gives him is to write five paragraphs on "What You Did This Summer." Hank is terrified-writing one good sentence is hard for him, so how in the world is he going to write five whole paragraphs? Hank comes up with a plan: instead of writing what he did on vacation, he'll show what he did. But when Hank's "living essay" becomes a living disaster, he finds himself in detention. 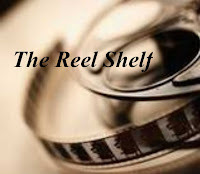 Strangely enough, however, detention ends up becoming a turning point in his life. 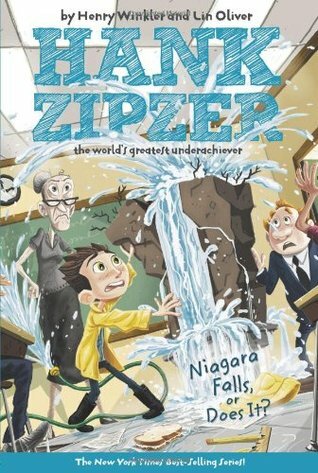 Review: Hank Zipzer is a well known troublemaker at school. He doesn't do anything malicious; he just has bad luck. When fourth grade begins his class is given an assignment that he is sure he cannot do. Ms. Adolf assigns a five paragraph essay on their summer vacation. He struggles, he tries, he contemplates but he has a light bulb moment and decides to use his creativity and create a 'talking essay'. After all, he knows tons of facts about Niagara Falls, his summer vacation destination with his family, he just has a difficult time getting those facts down with pencil and paper. He creates a magnificent model of Niagara and then things take a disastrous turn. He gets detention and is grounded. Luckily for Hank, Mr. Rock, the new music teacher is his detention teacher. Together, they struggle through the essay and do a bunch of cool things, too. Mr. Rock recognizes that Hank may have a learning disability when no one else did. Hank's parents really don't believe it, but Mr. Rock and Papa Pete believe in Hank. Good thing there are compassionate people around who take the time to discover how everyone is wired a little differently and learn in their own way and their own speed. Niagara Falls, Or Does It? will not win high literary awards, but I did enjoy it quite a bit. I thought the story was full of full of humor, empathy, but I loved most about it was the boost of confidence it gave to readers who may be struggling with their own learning disability. It even turns out that the author has his own struggles with dyslexia. Words of Caution: None. Recommended for strong Grade 2 readers and up. This sounds like a read that tackles an important topic. I like the sound of it. Sounds like a very cute book that would be good for a lot of kids. BTW, are you enjoying your new job? I've heard about his books for some time but never picked one up. I do know that most of them are about learning differences. Sounds like I need to recommend them! Brilly review! Ooo, a MG book where the protagonist has a learning disability? Yes! I find that there aren't too many books geared towards that target audience dealing with LD. And because the author has dyslexia, I think the story will be even more realistic.